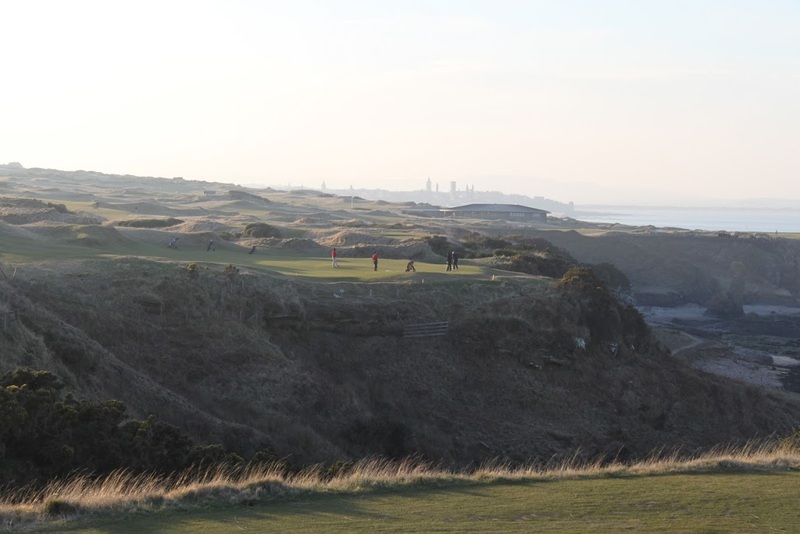 The St Andrews Castle Course draws mixed reactions from those who have played the course. David Kidd designed the Castle, which opened in 2008. 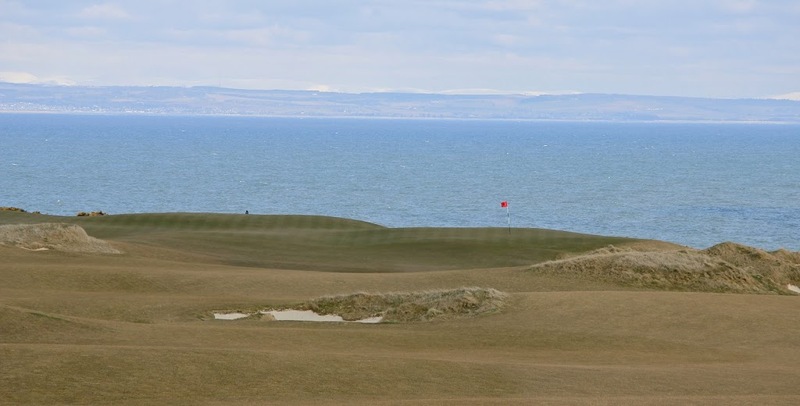 The course is set just outside of St Andrews, a short eight-minute drive south down the coast towards Crail. The views at the course are second to none. 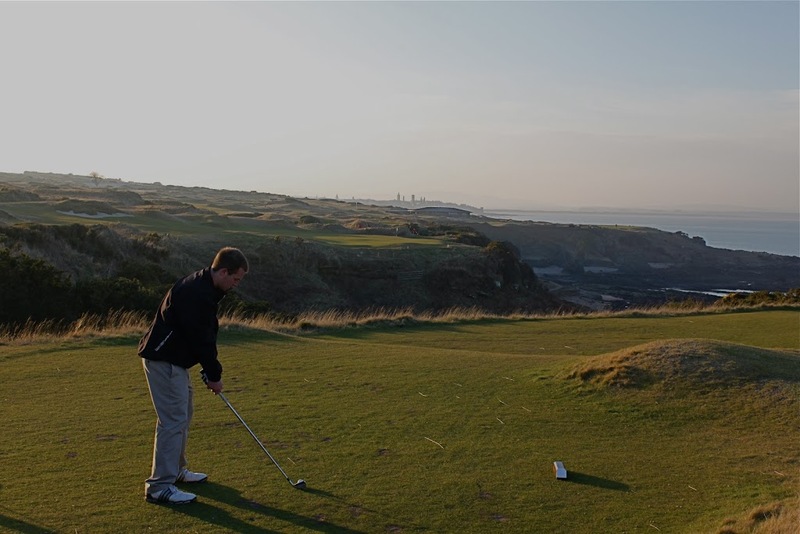 The sea is visible from nearly every hole, and certain holes bordering the cliffs are literally breathtaking. My main point of contention with the Castle Course is its greens. 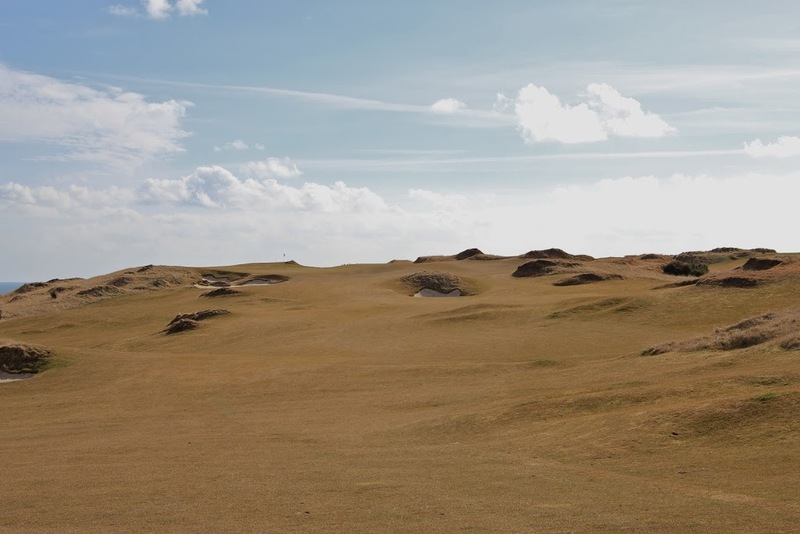 Since the course was built, the greens have been “redesigned” (read flattened) four times. Even with all the tempering, the greens are still extreme. The severity of the slopes limit pin placements, and during strong winds, certain greens border unplayable. 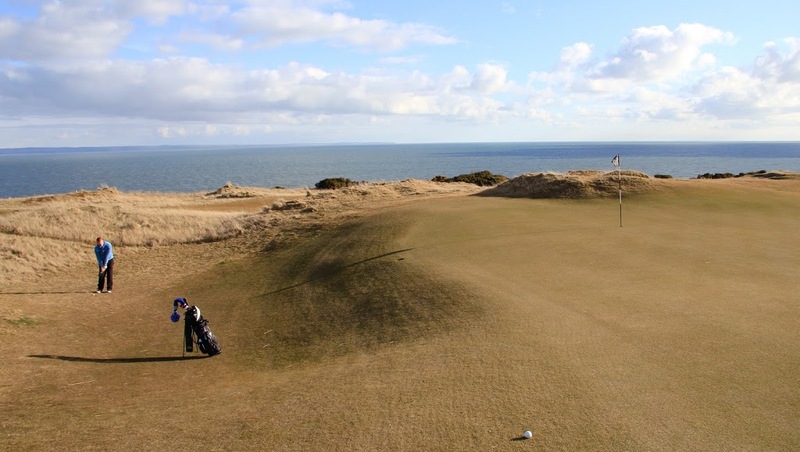 The crazy greens begin on the 2nd hole where, depending on the wind, approach shots can vary between 130-200 yards. The green has a massive false front, a large valley running through the middle, and severely slopes falling off the back into tall grass. It is simply unfair. The pin placement pictured is one of the few accessible pins. Aiming center of the green and hoping to end up in the valley is a player’s best option. The two photos above are of the par 3 3rd hole. The lower photo is of the collection area behind the green. It is a two level green, with a large false front and a large collection area behind the green. 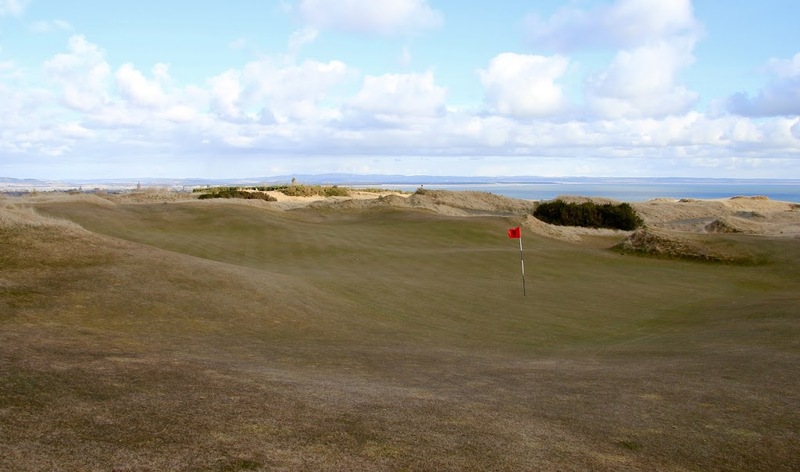 The hole is 179 yards from the standard tees and the prevailing wind is behind the player. 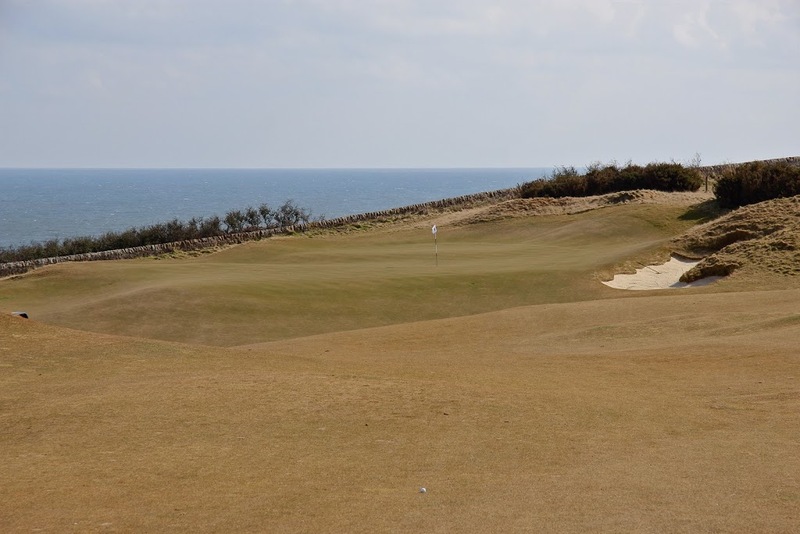 If the wind is even slightly strong, it becomes close to impossible to hold this green. 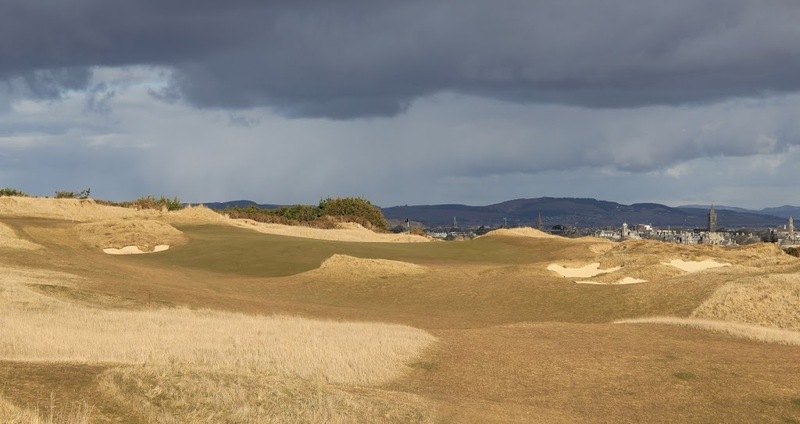 The 4th and 5th holes are both par 5s at the Castle Course and both have horrendously difficult greens. The green pictured above is the fifth. 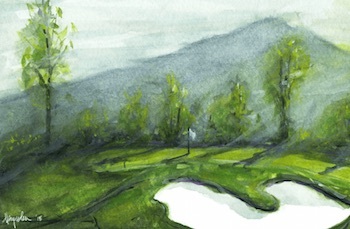 The slopes are so severe and numerous that there are roughly only three usable pin positions depending on green speeds. The 11th hole is an uphill par 4 to yet another sloping green. If the greens are running fast, there are only two useable pin positions, one of which is where the pin is placed in this photo. A large slope on the back of the green acts as a very useful backstop. A large false front forces any short approach shots thirty yards backwards off the front of the green. I consider the 12th hole to be the hardest hole on the golf course. 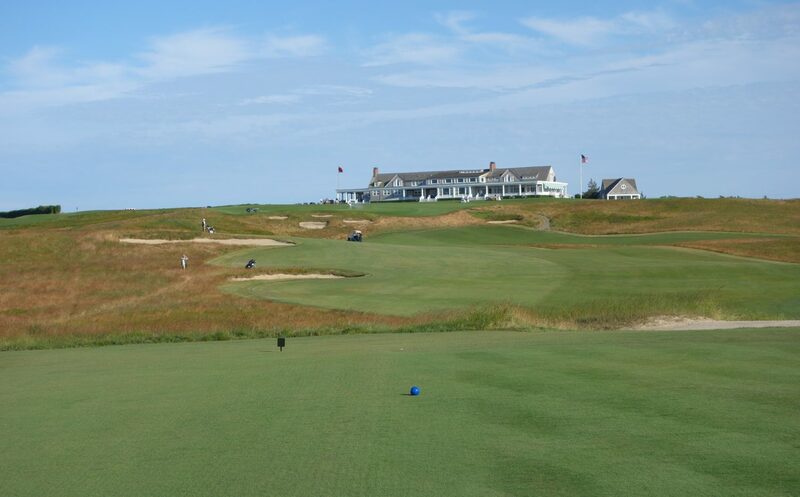 From the medal tees, the hole plays 454 yards uphill with a prevailing headwind. The picture above shows the uphill approach shot to the green. Thankfully, Kidd had the sense to make this green large and not unreasonably difficult. 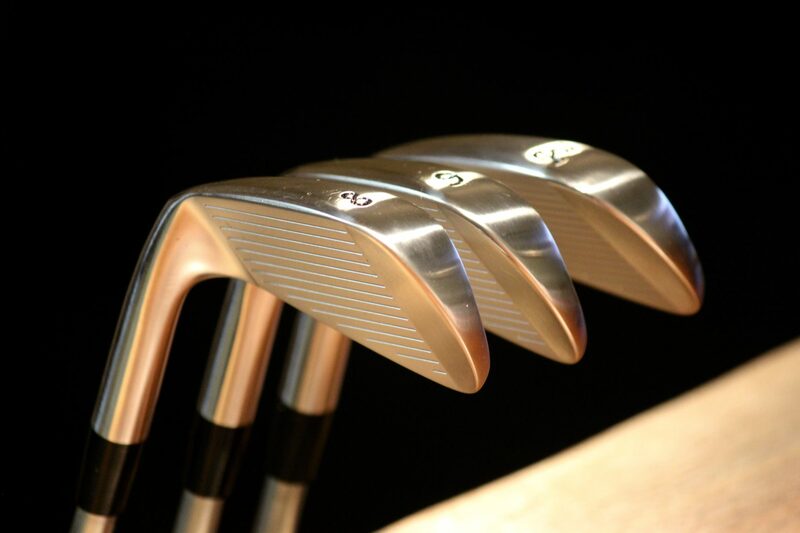 The card shows the hole as stroke index 8 – very debatable…. The approach to the 16th hole can be intimidating. The green contains a valley and features yet another massive false front. Anything short of the pin runs back into the massive valley in front of the green. 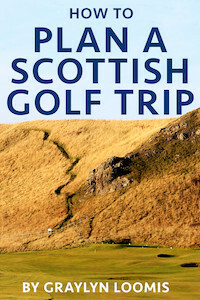 As is the theme with many of the Castle greens, aim for the center of the green and settle for the 25 foot putt. The 17th hole at the Castle Course is the signature hole. It is a 174 yard par four over a large gully. At high tide the waves are crashing below the tee. The view is breathtaking! It is one of my favorite par 3s in the World. A large slope left of the green feeds balls down to the pin. Smart players utilize this slope depending on the pin placement. The 18th is a dogleg right par 5 with a massive shared double green. It is a compelling final view. The green is difficult, but fair. The approach shot into the tough green requires distance control and accuracy – something that should be found on a risk/reward par 5. You may have seen a theme in this blog post of tremendously difficult greens and massive false fronts. Now, think on the topic again factoring in that the greens have been tempered and flattened four times since they were built. 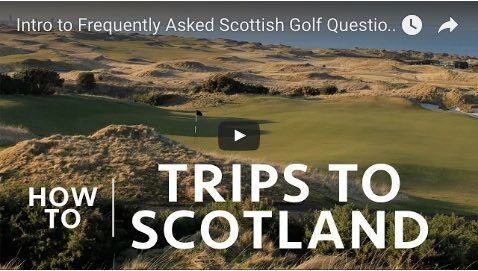 I would recommend playing the Castle Course to anyone visiting St Andrews, but leave the scorecard in the bag and keep the camera out. I guess I better prepare myself for lots of three and dare I say four putts! LOL. I have my work cut out for me for sure. Great review as always – very honest and no sugar coating it. It surprises me that the designers would want to make it as difficult as you described. What’s the point in making everyone miserable on the course? I bet they’ll be “tweaking” those greens for many years to come. 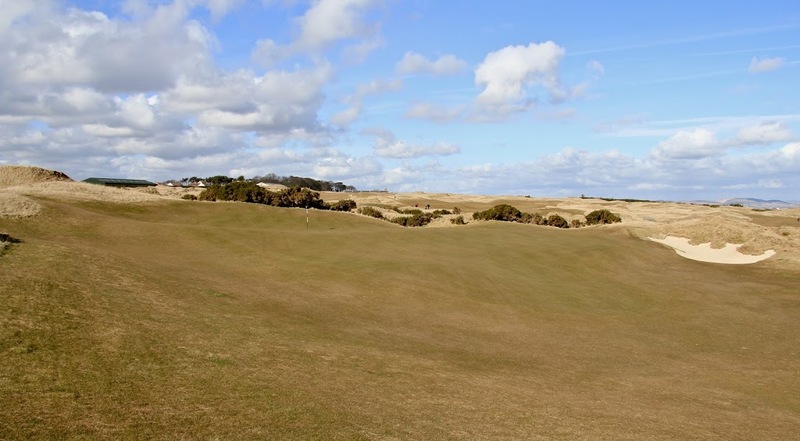 Its a shame to offer to the paying and playing public such a visually stunning, beautiful golf course and then litter it with unplayable greens. Thats not a recipe for success. They will figure that out and respond in kind. I have no doubt. 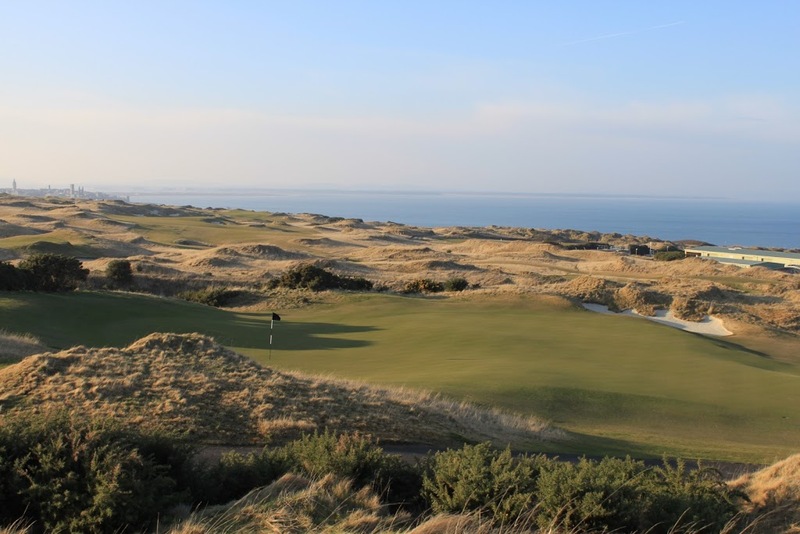 Regardless I’m looking forward to walking on such an amazing piece of property, playing the course and experiencing those seaside views that take your breath away. That in itself will ease the pain of what is sure to be a poor putting statistic for me. Want to guess on what the over/under might be? 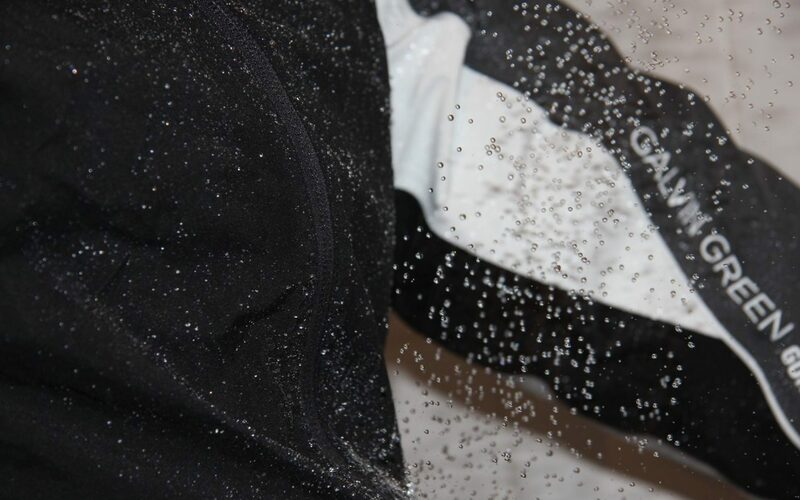 Thanks again for the review and pictures. I look forward to my visit in only 29 DAYS!!! If you’re in town still I extend an invitation for you to join us for a pint or two and I’m buying. Would enjoy the chance to meet you in person. 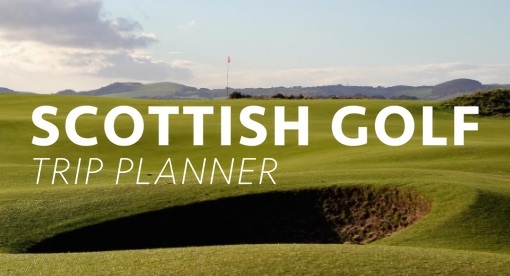 If this course was 200 years old, it would be considered the greatest course in Scotland. 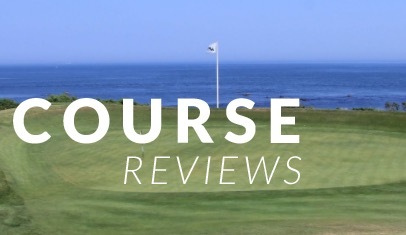 The greens are tough, but the shot values are amazing, and this course requires thought- when to be aggressive, where to miss, how to factor in the wind, how to make up a shot to get it close to the pin. Walked it twice in one day with three buddies from NC, and loved every minute of it. 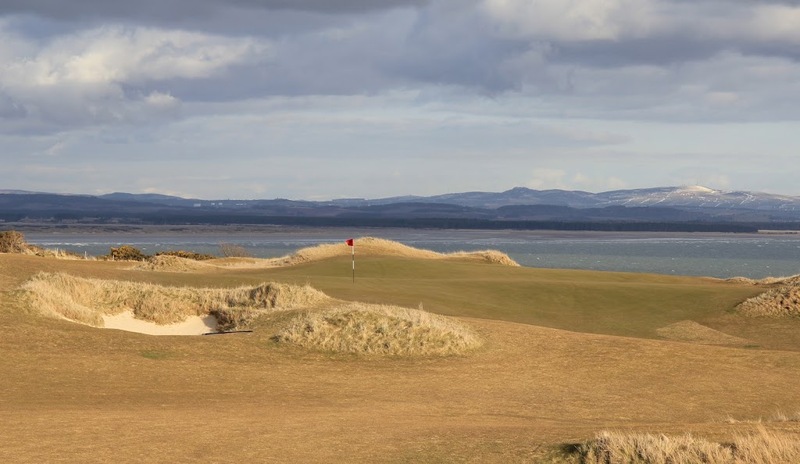 The best views of St Andrews are from the front nine of this course. 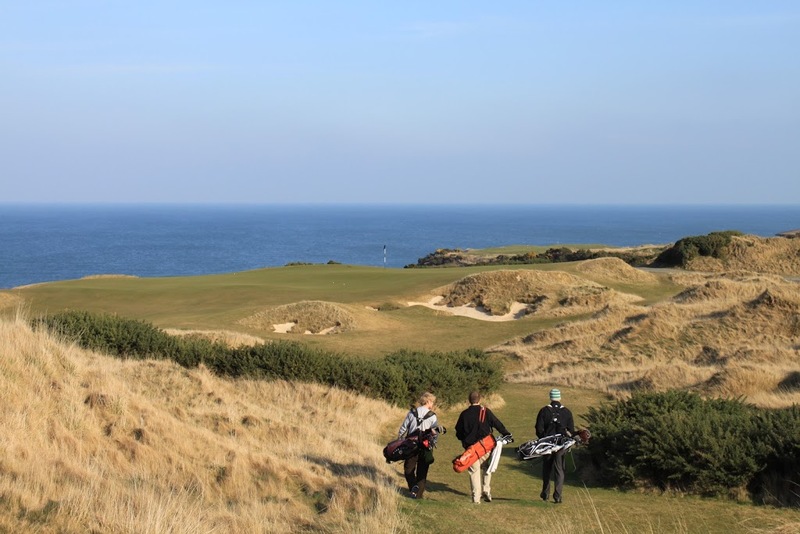 If you cross the pond, it is a must play along with Kingsbarns.